Home » » Record Label Calls Out Singer Runtown To Stop Deceiving Promoters. Record Label Calls Out Singer Runtown To Stop Deceiving Promoters. 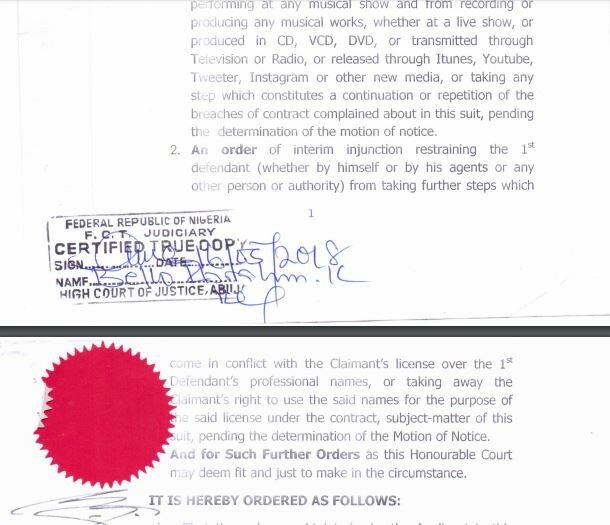 Nigerian record label, Eric Many has once again called out its enstranged artiste and popstar, Runtown saying he keeps deceiving promoters out of desperation to collect money from them even though they have a court injunction that states other wise. 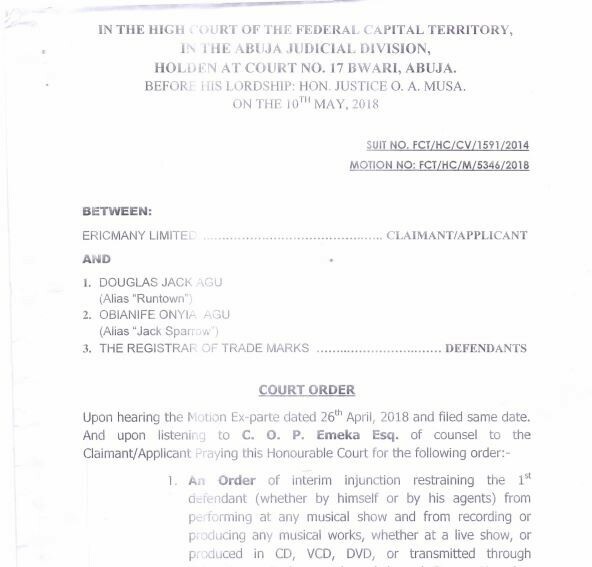 According to Eric Many’s General Manager, Johnson Adumike, ‘Runtown is a liar and he’s really desperate, he keeps dragging our name in the mud by telling all sorts of lies to show promoters that the law suit against him has been settled. This is a big lie. We have an injuction against him that says we should maintain status quo and the next court date is September 27th’. He went on to say, ‘he pulled a fast one on Martell last night with the same lies and when we reached out to them to let them know the true state of things they were shocked. This is how Runtown collected 7,500 dollars from a promoter in Canada illegally and when we reached out to the promoters with copyright documents, Runtown absconded with the promoters money leaving Tanya Vanloo, a Montreal promoter to suffer’. ‘We are speaking out now to let show promoters and media houses know that Runtown is a liar and we still have a case against him in court that’s scheduled to come up for hearing on September 27th’ he said.